Новые пермские остановки украсились новыми расписаниями, набранными новым пермским шрифтом. 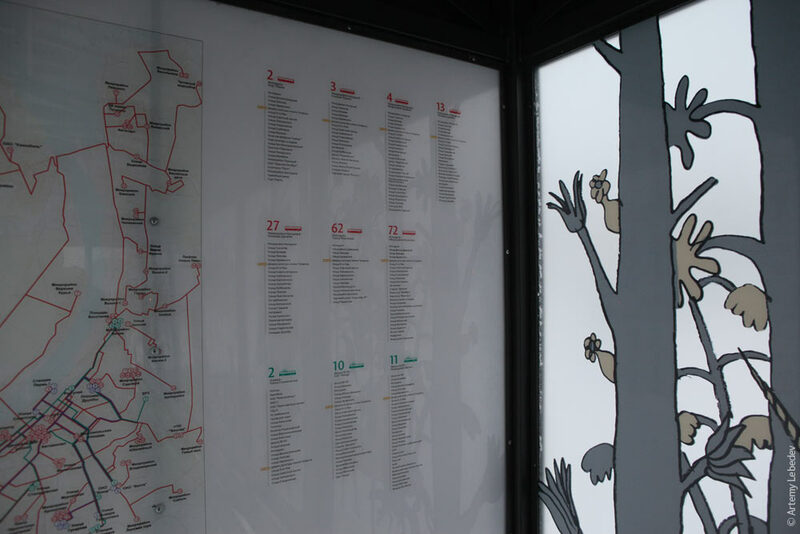 The new bus stops in Perm have been further adorned with new schedules set in the new Perm typeface. 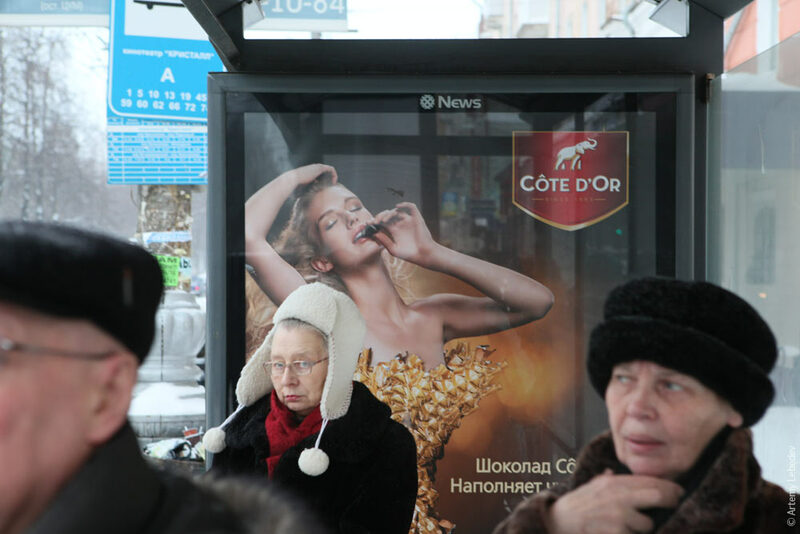 The old bus stops are adorned with advertisements. Кнопка вызова милиции украшена цветком. 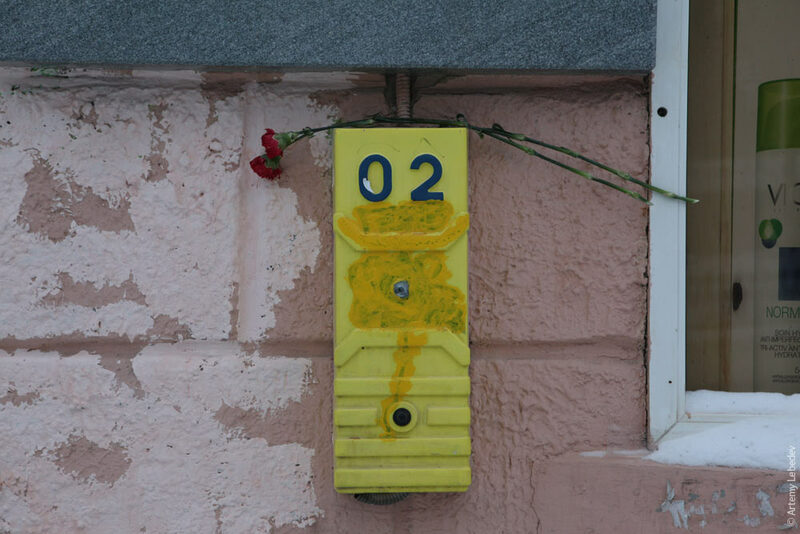 The police call button is adorned with a flower. 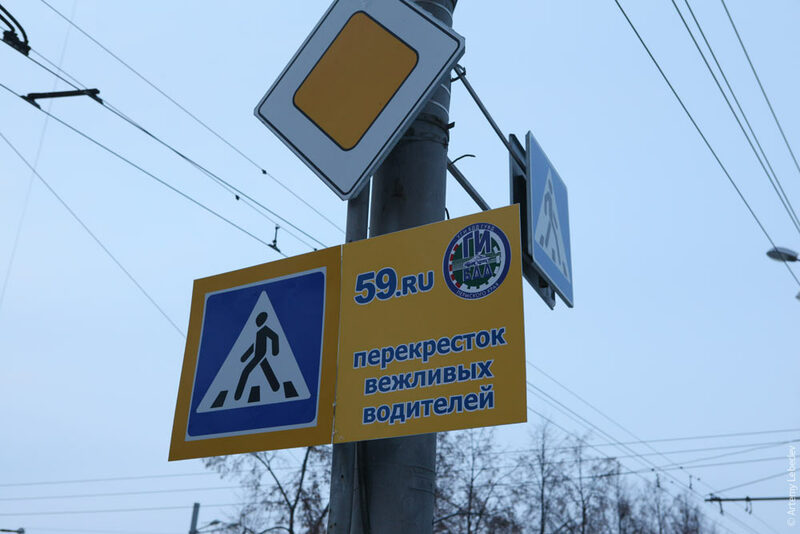 The intersection is adorned with creative signage. 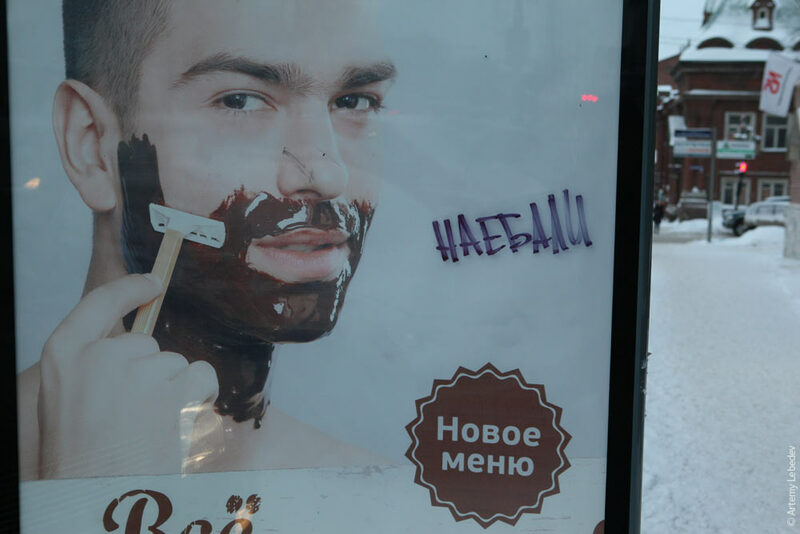 The advertisement is adorned with a review from the people.